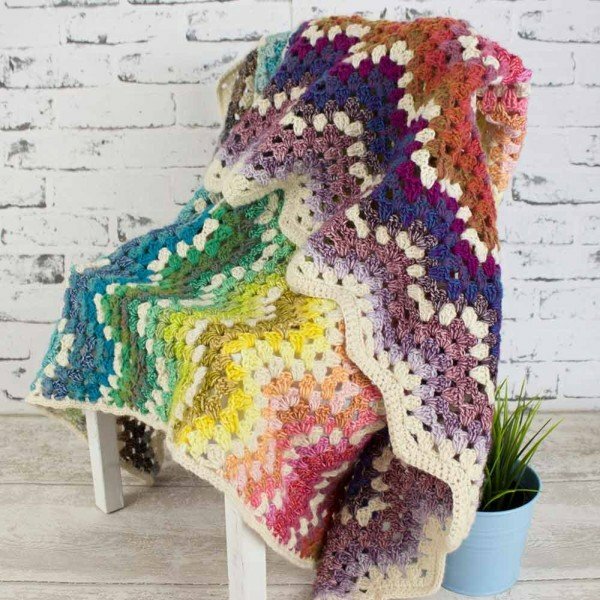 I am so excited to share with you a new design and colour combination for a lap blanket. 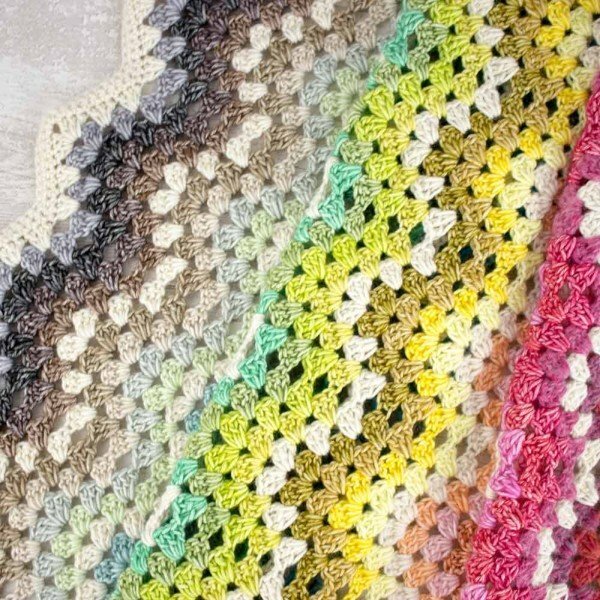 Over the years I have loved working on Granny Ripple Blankets. Their zig-zag pattern are so relaxing to work. When I saw a box of the beautiful Scheepyers Riverwashed and Stonewashed yarn I knew those little 10g balls would make a fabulous make. Are these not the most scrummy colours? 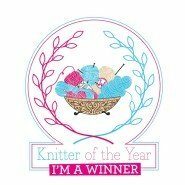 When I finished mine, I just fancy making another! 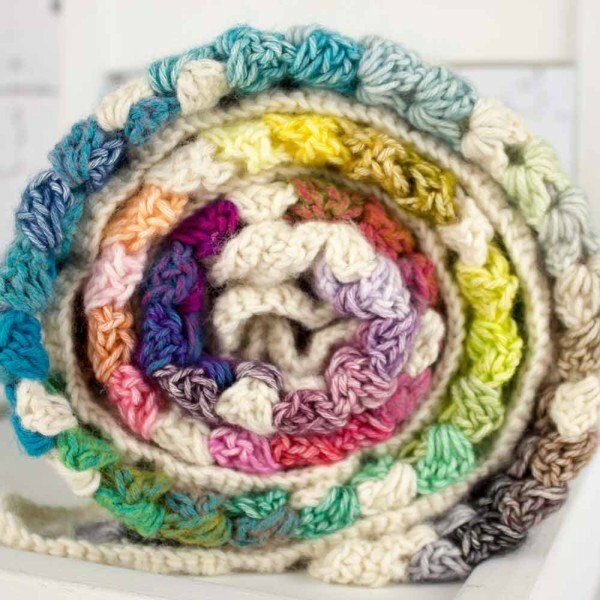 I have designed a pattern and colour pack exclusively for Black Sheep Wools. 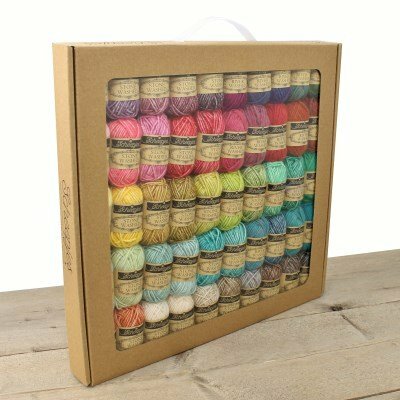 In the pack you get the pattern, a gorgeous box of the 50 mini balls of Stonewashed and Riverwashed colours and you need 3 x 50g balls of Stonewashed in Moonstone. I used a 3.5mm hook for my blanket. If you like working from a schematic drawing you will be pleased to know that I have added one to this pattern. I do hope you like it and if you do make a ‘Little River Blanket’ will you send me a photo through the Facebook Page or via Instagram. I would love to see it. A beautiful design. Is it possible to buy the pattern only as I already have the 50 minis? Hi! I tried to buy the kit but it has been out of stock. 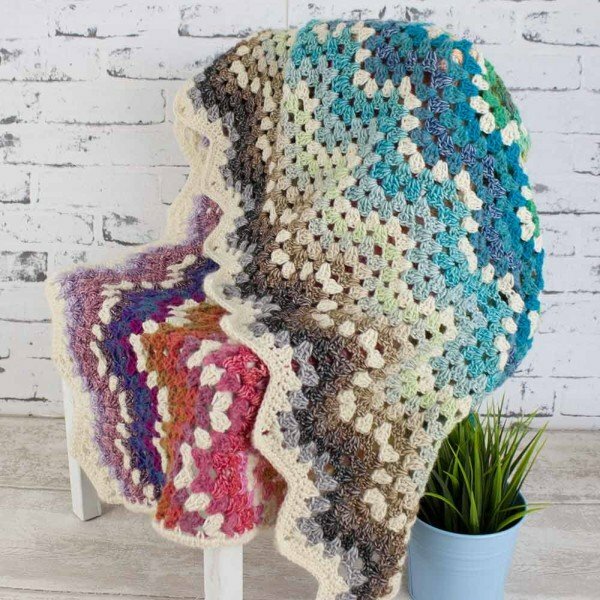 Will you be selling the pattern on Ravelry? 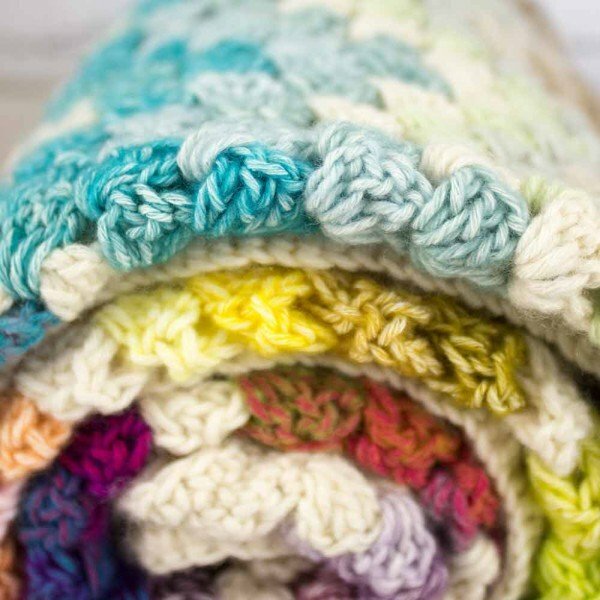 I’m almost finished with my zig zag rows and I’m loving making this blanket! 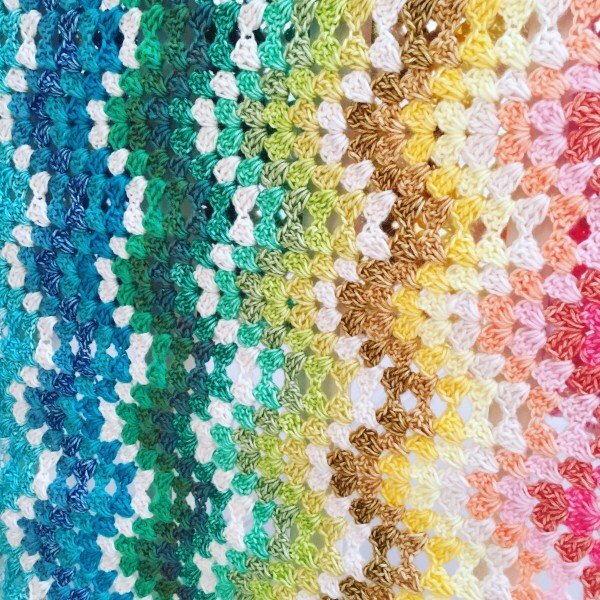 With the border, is it one row in moonstone and the other in very pale pink? It doesn’t seem to say which way around to do it in the instructions and I don’t want to ruin it at the last few rows! Thanks!